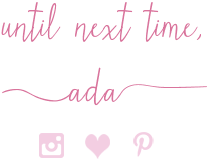 Thursday Moda #19 and my 5 Favorite Styles. 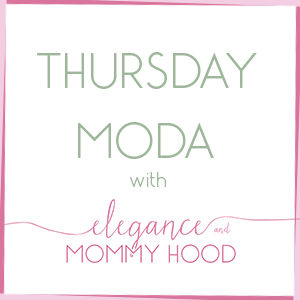 As I mentioned before, I am on vacation this week so today's Thursday Moda will be a little different. In 18 weeks I have put together 19 Outfits for my Thursday linkup posts. Today I am counting down the top 5 favorites. All of these outfits couldn't be more different than each other. I have summed up each outfit by an adjective. All of those adjectives together and more could be used to describe my style. Some of these outfits date back since late Winter and a couple you might remember because they are very recent. Which are your top 2 favorite looks?! 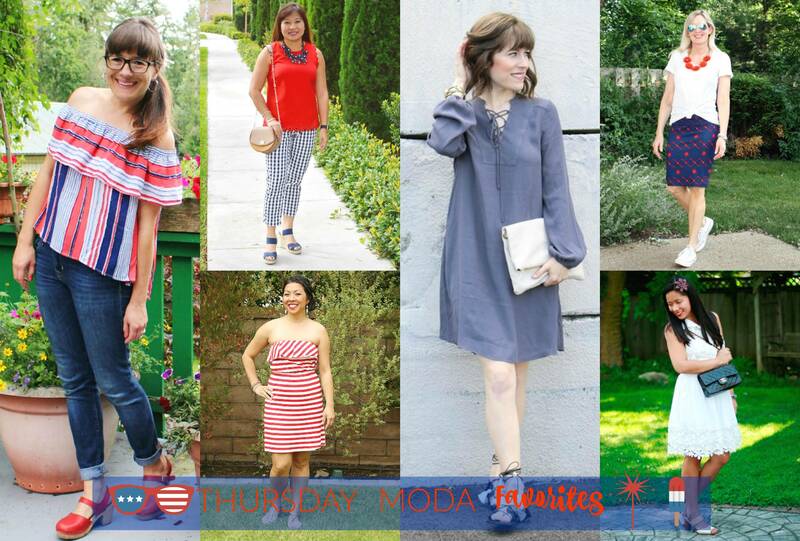 Last week we counted over 130 entries for Thursday Moda making it the best one yet. So, thank you. It was an explosion of red, white and blue in blogosphere, as my collage below will show you too. Of course I love a good Americana look. I had such a hard time selecting three favorites from a pool of over 100 pretty outfits. So, just like last week I am selecting my favorite half a dozen looks that linked with me. Thank you for such amazing inspiration, ladies! Miriam talks about 'Mexican Food' in her post and to tell you the truth her Americana Striped Off-Shoulder Top also has a Latin flair to it which I love and her Red Clogs are gorgeous. Alice looks back at some 'Patriotic Looks' from her stylish past but the one from this year with the Navy Gingham Pants and Scalloped Red Tank is my absolute favorite. Ruth shows a double dose of 'Lace Up' from the Elegant Gray Dress to the Adorable Pom-Pom Sandals she DIYed herself. Jill's take on 'Red, White and Blue' is fun, feminine and sporty with her Firework Skirt, Knotted Tee, Bold Flower Necklace and Sneakers. Sarah Isis is wearing the most girly 'Summer White' Dress which has gorgeous cut-out flowers on the hem. Her Neutral Two-Tone Sandals are pretty. Sarah has been doing a great job for 'Create 28' last month, putting together adorable outfits like this perfect-for-the-4th Red Striped Dress and her hair is always braided beautifully.